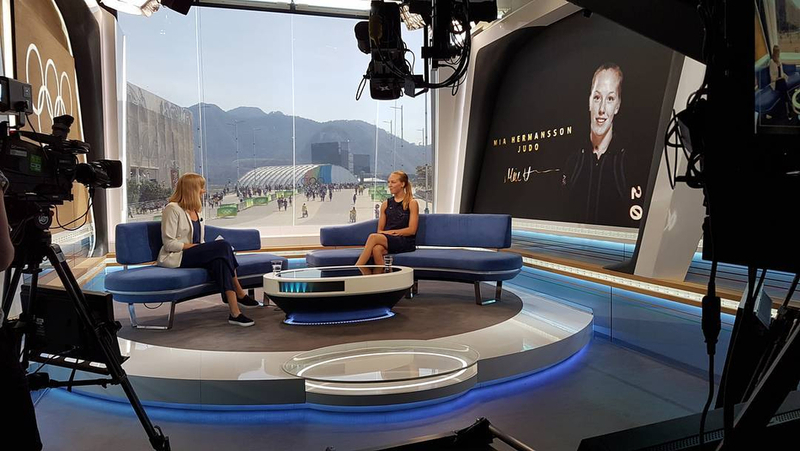 Viasat, a nordic broadcaster owned by the Modern Times Group, has channeled Scandinavian design principles in its 2016 Summer Olympics studio in Rio. Utilizing a long and narrow space in one of the broadcasting towers in the Olympic Park, Viasat opted to use the view as its key focal point, allowing viewers to see the crowds exploring the games venues. Angled metallic blades frame the window, with a large LED video wall on the right side of the space. A glossy semi-circle riser features a configurable blue couch and small coffee table. During broadcasts, an oval cutout on the riser is utilized for augmented reality graphics powered by Vizrt, showcasing text and sports icons. On the left, wood paneling features a backlit Olympic logo on a raised panel. 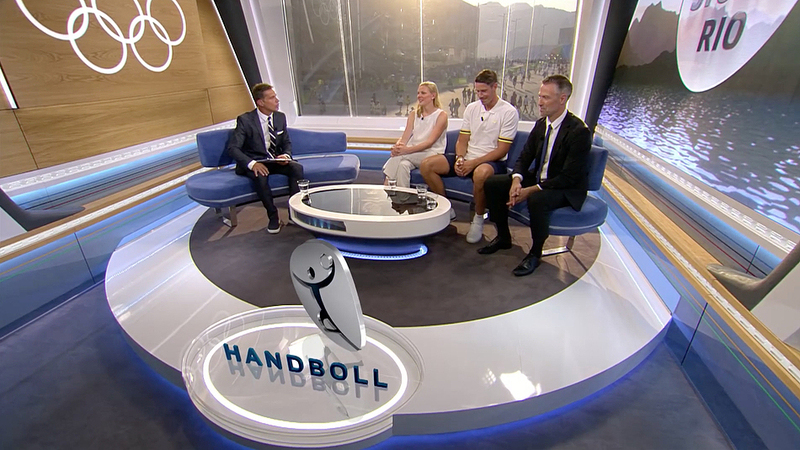 Overall, the studio aims to be functional for the broadcaster, allowing a variety of uses throughout the games across the broadcasters multiple channels, while also featuring a contemporary design on-air. The network is also utilizing a studio in Sweden for its morning Olympic coverage. Viasat’s coverage of the games also includes the use of an Ultra HD channel, along with virtual reality feeds.